We would like you welcome you our campus! Join us for some good free food, fun games, and an engaging talk. Meet some friends and have lot of fun. Come and hear how America was shaped. Free refreshments and snacks! New to the campus and feel a little bit lost? Come join us for Junior Transfer Welcome Night! Enjoy a free dinner, hear a student panel share their experience as a transfer, and make some friends. We will have study hall for the finals week. We will start off with a tasty dinner. You can study with friends, or be in a quiet study room for focus. If you need help, you can ask one of the upperclassman for help with your problem sets. We will have rides from campus, and back after. For more information, please contact Brian. Hi, we will have our annual Run for Missions on 5/14/16. If you are interested in joining, please contact us for information. This is a 5K/10K run to help raise money for summer missions. Even if you cannot run, you can help support one of your friends, by having your friend(s) run. And also to come cheer them on as they cross the finish line. Hope you can join us! 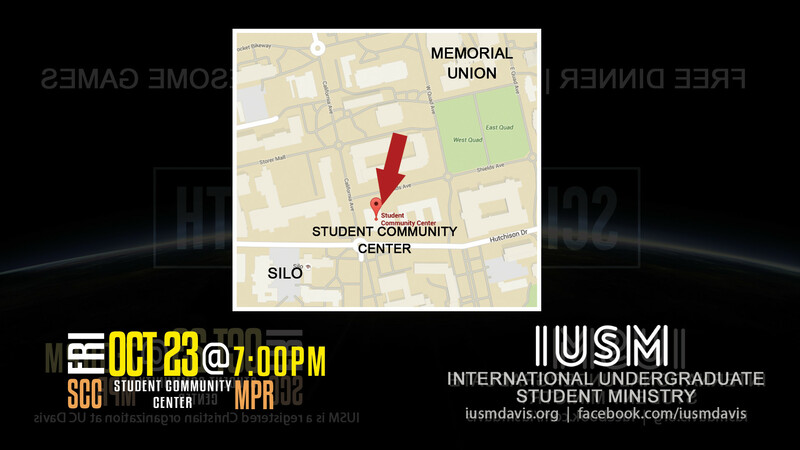 IUSM will explore and talk about: Did Jesus really came back to life on Easter Sunday? What are the evidence that can give a credible argument for the resurrection of Jesus? This is crucial in the belief of Christianity. The night not only will be thought provoking, we will also start with a good delicious dinner, Games, & Fun! Well we hope you can come and join us this Saturday as we talk about this topic. Time sure goes by quick. Now is the beginning of another new quarter. Welcome back to all of you, especially if you had a chance to travel, both domestically or out of the country. Hope all of you are recovered, or recovering, from all of the stress last quarter. 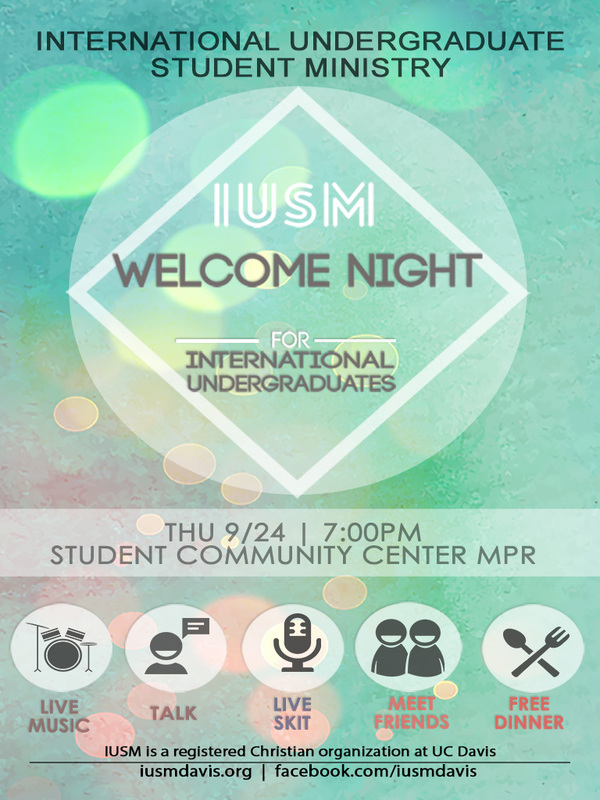 We will have the IUSM Winter Welcome Night this coming Saturday, called “Refresh.” We will have special talk/subject on this topic of refresh, a delicious Korean BBQ meal, skit, and games. Come join us! We will have rides 6:30pm at ARC. Please see below for additional information. Bring a friend or two, who want to start the quarter “Refresh” also. 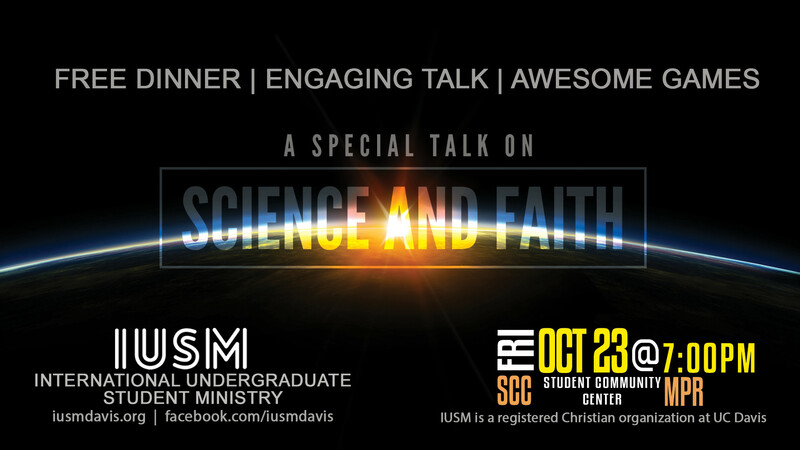 IUSM Presents: Special Talk on Science and Faith! The city of Davis is famous for its Farmer’s Market. Come check it out with us! Please meet in front of the SISS building. Contact Eric Miao for more information. Waiting for classes to start? Why not learn to play some new games and make new friends? Do you feel like having some 小笼包 & 烧卖 & 虾饺 ? If you can read those words, you know you want to join us! Please meet in front of the SISS building at 11am. 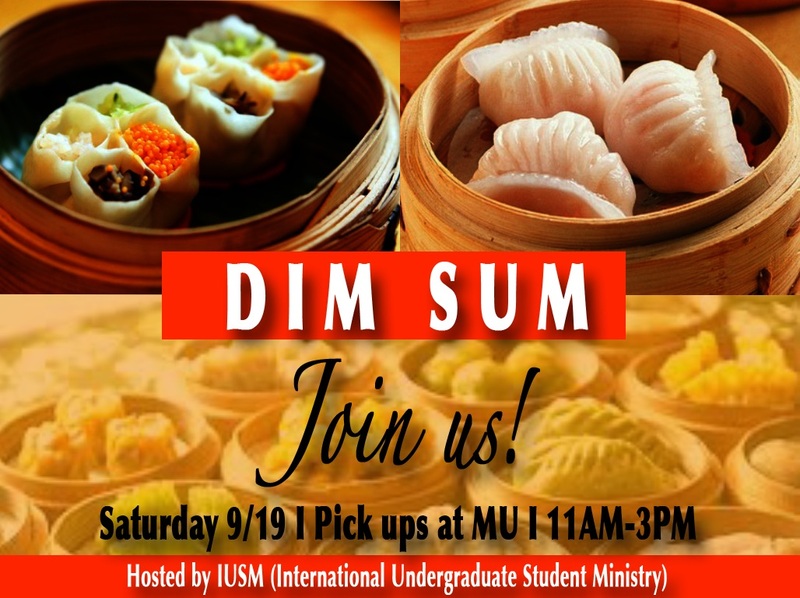 Contact Eric Miao for rides and more information. This is our biggest event of the year! We’re going to have a free dinner, a thought provoking message, live skit, special music, and a full night of fun and games! 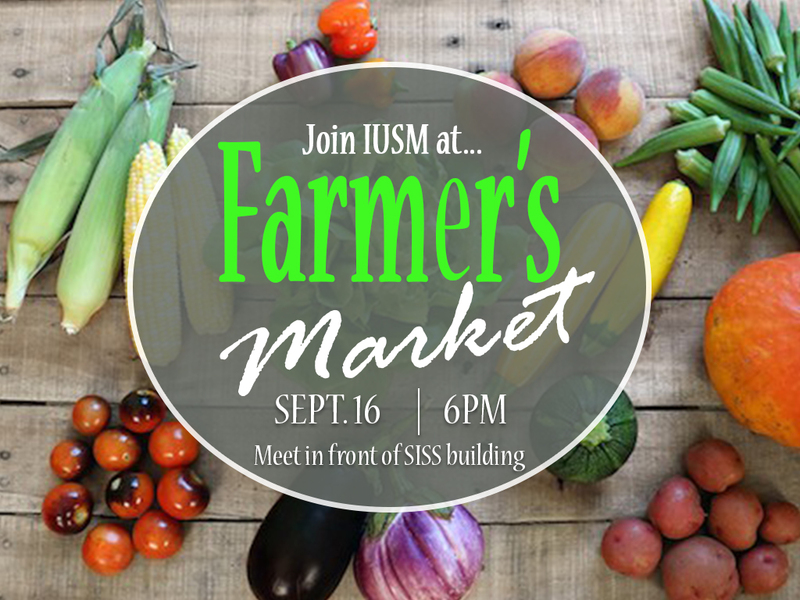 We will continue meeting for Friday Night IUSM Bible Study at the Din home starting with dinner and ending with a night of fun activities. If you are here for summer session 2, we hope you can join us. We will meet at 7pm on Friday, 8/8. Contact us if you want to join us or want more information. If you need a ride as well, let us know.